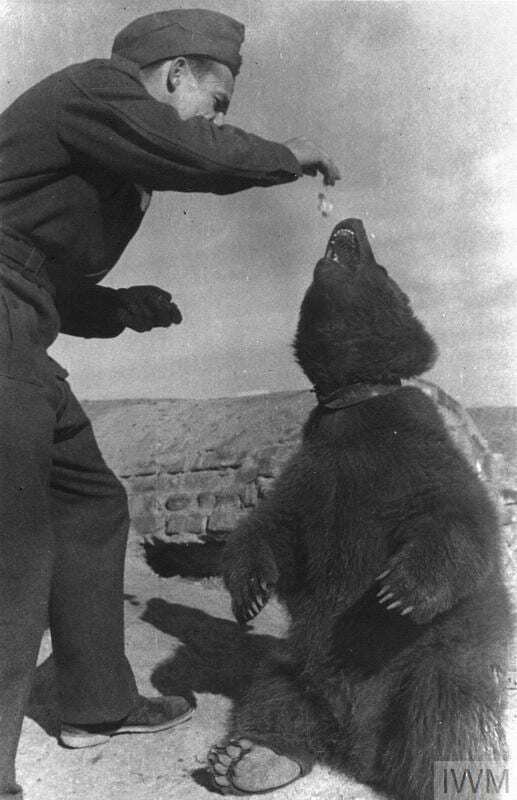 In the Middle East the Polish soldiers traded with a local Persian and came to own a bear they named Wojtek. This bear became their mascot, they loved it, played with it and even bear restled with it. The bear even came to the UK with them and eventually died in Edinburgh Zoo where a statue commemorating it stands. Many other statues exist. Although the bear was their mascot, it is not being given any further attention on this site because this site is dedicated to the millions of Poles who suffered at Stalin's hand, who overcame all the odds to survive and then became ousted from their own country, never to return. We don't believe a bear, who never suffered, deserves attention that supercedes the real story of human suffering and misery. Sorry folks, that's all you will hear about Wojtek on this website..